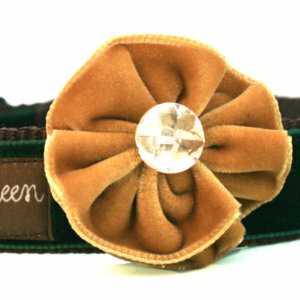 Our Velvet Dog Collar Flowers are as beautiful as they are practical. These does collar flowers resist dirt and are washable to keep your pup looking sharp! And while you are at it, try one of our Crochet Dog Collar Flowers!